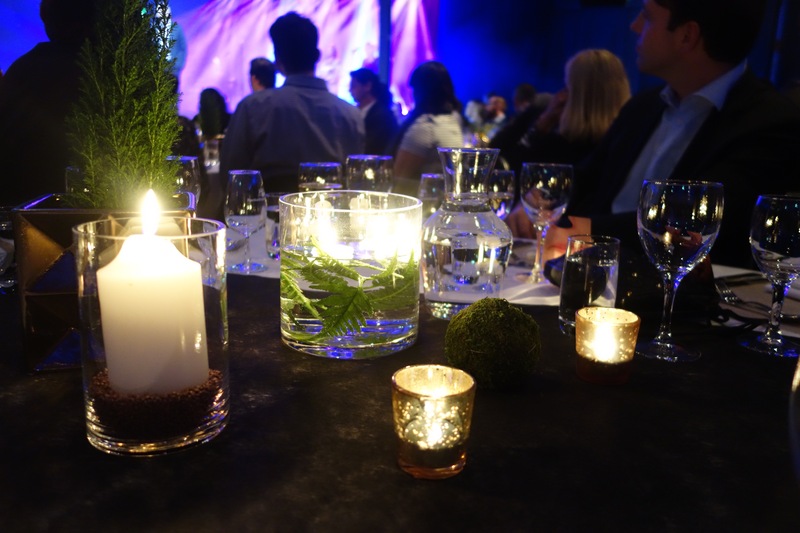 Candles on the table at the office Christmas party on Wednesday. All photos by Sandra Carpenter copyright 2016. Daylight hours are in short supply this time of year and Stockholm undergoes a big change in personality as a result. Even though sunset is just after 2.30, it’s distinctly more cozy these days. That’s thanks to all the holiday lights and candles. Christmas lights, stars and candleabras start shining in windows everywhere at the end of November. And real candles appear all over the place too–at the reception desk at work, the gym, the doctor and in restaurants and bars. It all goes a long way toward keeping me happy this time of year. Talk to me in February and I will be distinctly less happy about the darkness. But for now, I am content. 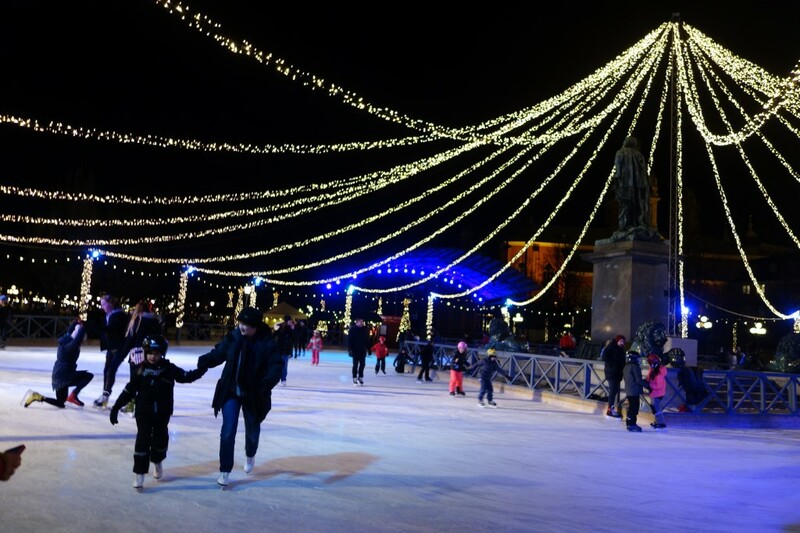 Plus, there are all the holiday parties, Christmas markets, displays and julbords to check out (see my article about what it’s like to attend a julbord on Slow Travel Stockholm). I have been running around, getting lots of work done and Christmas shopping. But I am doing my best to try to stop and enjoy it all as much as I can. Because I do think that Stockholm is rather magical right now. 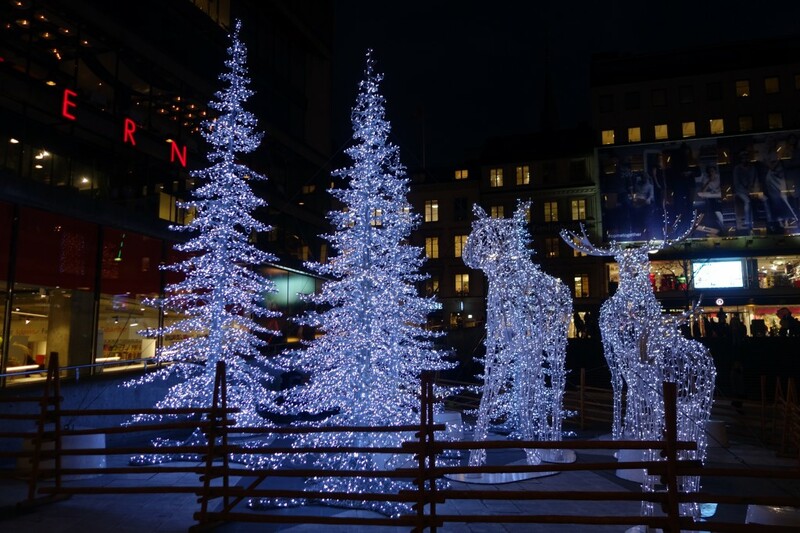 I worked my way through the crowds to see the window displays at NK department store, checked out the skaters at Kungsträdgården, walked the red carpet on Biblioteksgatan, went to a few Christmas markets and have had a few glasses of champagne. It’s all been quite lovely. I hope it is for you, too. 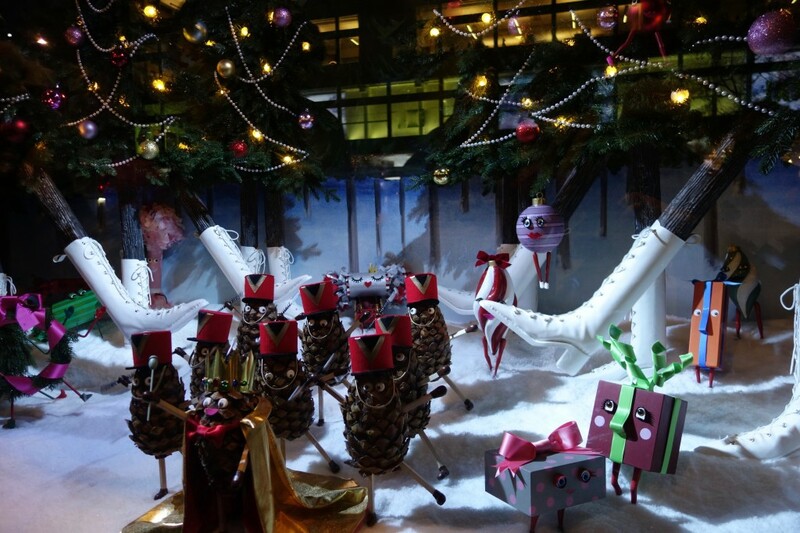 One of the holiday windows at NK department store. Holiday moose lights at Sergels torg. 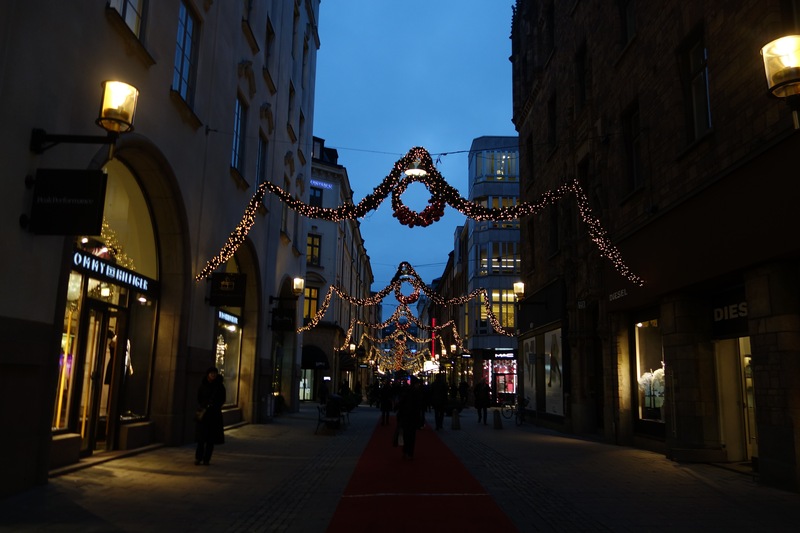 The lights and red carpet on Biblioteksgatan.